Membership in Tourism Saskatoon requires that each member, company or association adhere to the Members’ Code of Ethics. Provide visitors with safe and well-maintained facilities and equipment. Provide visitors with prompt exceptional service. 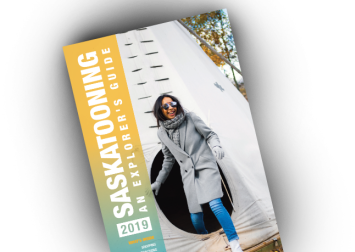 Provide visitors with up to date information on other products, services and attractions available in Saskatoon and area. Promptly deal with all inquiries, requests, transactions, correspondence and complaints in a fair and courteous manner. All promotional materials concerning facilities, services and amenities be current and truthful and advise visitors on a timely basis if and when unable to provide the level of services or facilities as advertised. Provide visitors with complete details on prices, cancellation policies, fair exchange of Canadian dollars and services at the time of purchase and advise of changes in services products or costs if and when they occur. Promote environmental sustainability in products and services and adhere to all applicable municipal, provincial and federal laws. Treat all members and staff of Tourism Saskatoon in a respectful and courteous manner and support the goals and strategic objectives of the organization. Members who have concerns about other members or Tourism Saskatoon are encouraged to contact the CEO. Formal complaints in regards to members or Tourism Saskatoon must be received in written form.